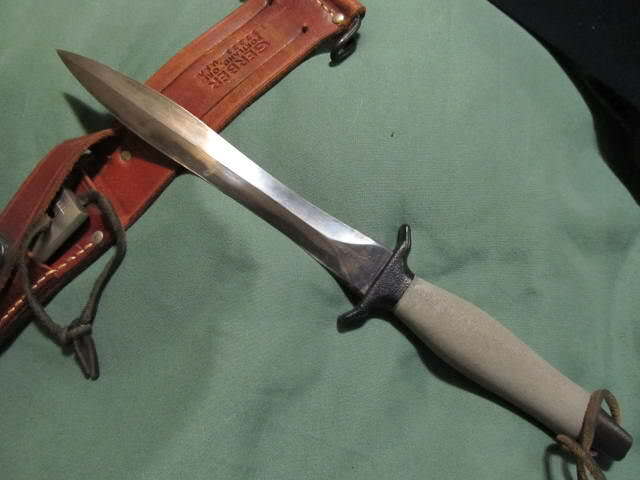 Not really a knife guy but saw this and just love vintage stuff, from what I can gather this particular Ka-Bar 1207 was made from the mid 60’s until the 80’s but not 100% sure, the knife upon looking at it closely was used rarely and has been sharpened at least a few times but is in overall great condition so just wanted to share. Mmmmm mmmmm. Mmmmm. That is a sweet knife and yep, I am a knife guy. Very nice William. The Ka-Bars are a classic. About as American as apple pie. Looks to be in very good shape. Treat the leather wraps at least once a year with a good leather conditioner. Have someone professionally sharpen it for you as some attempts at sharpening at home often dull the blade. (11-07-2018, 04:11 PM)Steelman Wrote: Great find. Congrats. Awesome! The Ka-Bar is a super classic. 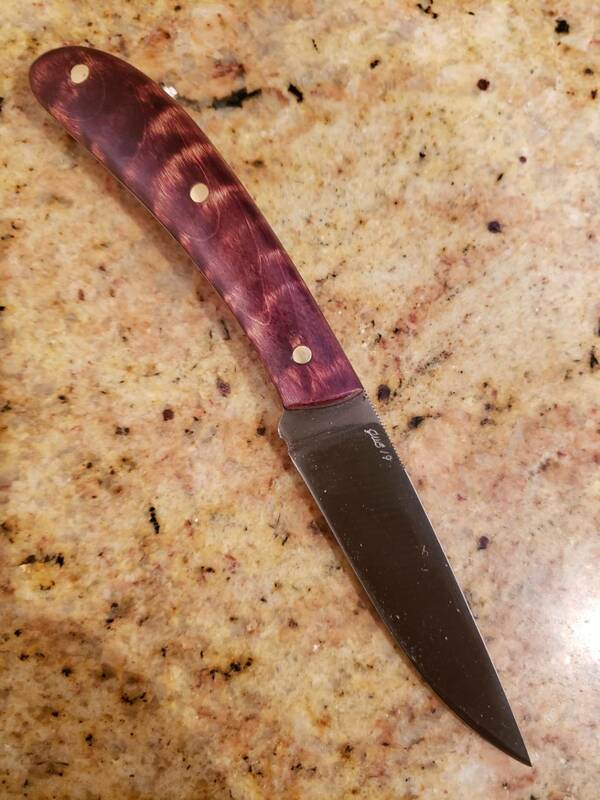 Great find on a great knife. I'm into knives and just learning to sharpen with a stone. I don't worry about dulling the blade because I have friends who are real pros at sharpening and they will fix anything I mess up while showing me what I did wrong. (11-08-2018, 10:16 AM)Preacher Wrote: Great find on a great knife. I'm into knives and just learning to sharpen with a stone. I don't worry about dulling the blade because I have friends who are real pros at sharpening and they will fix anything I mess up while showing me what I did wrong. I know what to look for as I hone straight razors but honing a straight is nothing like honing a knife as with a straight you are not freehnading the correct angle as it’s determined by the spine and that can be adjusted to some degree and the pressure applied to the knife is about 5x more than a razor, I have managed to get an ok edge on a knife but also have managed to turn one into a butter knife to, I have a few knives I practice on and edges go from ok to won’t cut string so that’s why I’m looking into something like the WE or EP Apex as both of these systems take a lot of the guess work out. Just how early a Mark II is that? Cat's tough or Armorhide? 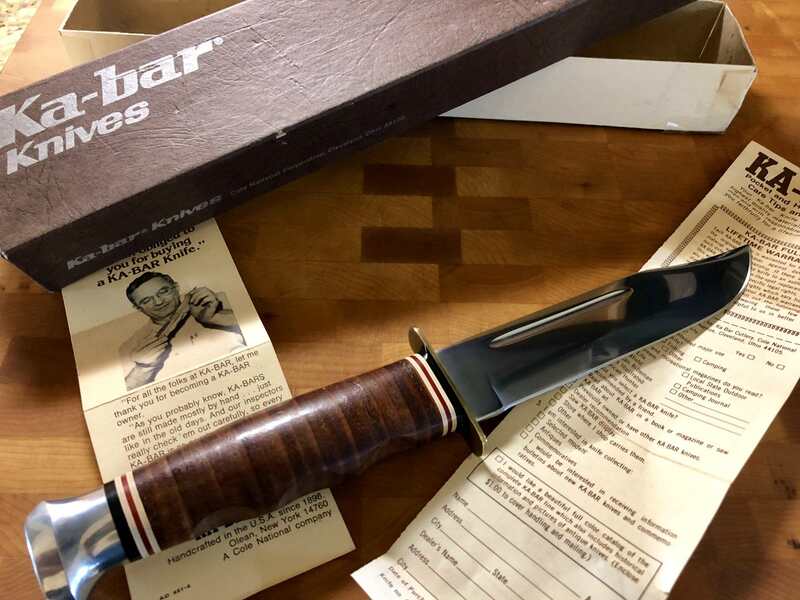 (11-07-2018, 12:58 PM)Panther308 Wrote: Not really a knife guy but saw this and just love vintage stuff, from what I can gather this particular Ka-Bar 1207 was made from the mid 60’s until the 80’s but not 100% sure, the knife upon looking at it closely was used rarely and has been sharpened at least a few times but is in overall great condition so just wanted to share. I love that knife. My father had a leather handled knife that was similar but it was in pretty bad shape. So I went out and bought myself one. Almost identical to this one. Now I have to find it in my camping gear to see if it's the same. Vietnam era, wasp waisted, Mark II with honing steel. Nice blade...worth a pretty penny too. J. W. Bensinger bird & trout knife. Tiger maple scales. Forged 52100 steel. 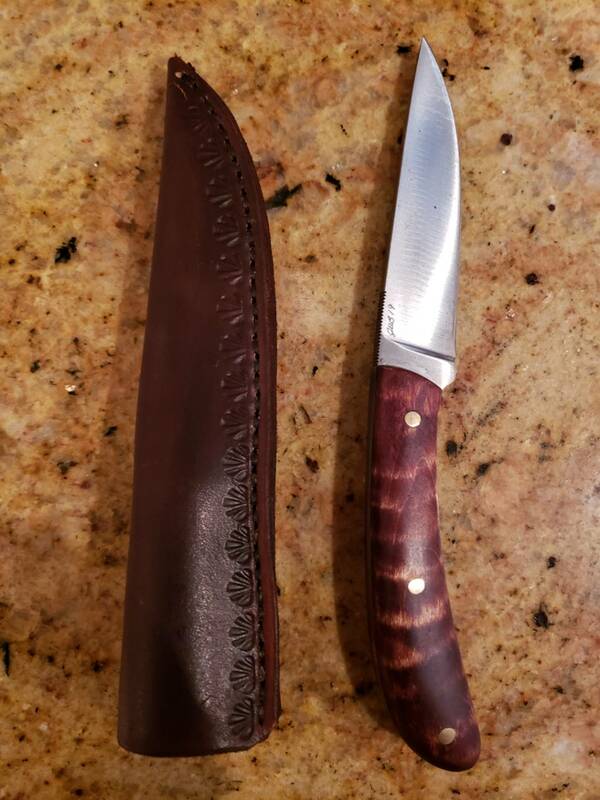 (04-10-2019, 05:32 PM)KWilliams40 Wrote: J. W. Bensinger bird & trout knife. Tiger maple scales. Forged 52100 steel. For not being a knife guy I have far too many knives. I haven't bought a new one in decades though. I have Gerbers from the early '70s when they were made with tool steel.